One of the first things you notice when you arrive in India is how damn noisy it is during the night. There are cars, rickshaws, parties and dogs. The dogs are the worst. The streets are filled with stray dogs who gang up and fight other dogs during the night. 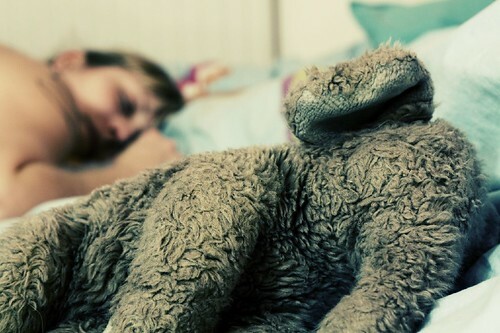 It is really hard to sleep. In this post I want to tell you about a few tricks I learned in India that will help you get to sleep with lots of noise outside. I know we have a lot of readers who struggle to get some good sleep. One of the first things most people do (myself included) is panic when they can’t get to sleep. It’s kind of funny when you think about it. You realize that you need to get to sleep but you toss and turn and stress about not being able to sleep! It is very counterproductive. The first thing you need to do is learn to not panic. If you are hearing a big noise outside and are predicting a bad night’s sleep then just relax with that. So what! You have one crappy night’s sleep. Don’t panic, it will only make it worse. Okay this sounds kind of stupid but it is something I did all the time in India. During the nights when the dogs were barking I couldn’t help but listen to them. But, when the barking stopped I would focus in on the silence just waiting for the next bark. It drove me nuts. The next bark might have been 10 minutes away and if I had just relaxed I probably would have fallen asleep by then. Next time a noise is keeping you up try and see whether you are mentally focussing in on it. If you are then just apply some of these meditation techniques and let go of the noise. EVERYONE should invest in some earplugs unless you live in the quiet of a nice country town. People in the city certainly should. And let me tell you why. Science has now shown that sleeping in a noisy area actually shortens your life. It turns out your mind and body still register all the noises and it has a negative effect on your heart – it stresses it out. This is why everyone should invest in some ear plugs. The best type to get are the ones that block out background noises but not nearby noises. For example, the ones I use to own would block out cars, trucks and people on the street but I could still hear my alarm clock or smoke alarm really clearly. You can pick them up really cheap from amazon here. It is funny how a foreign noise can keep you up all night but the rattling of your room fan can settle you and send you off to sleep. One trick I learned is to combat the loud noises with something that is really familiar. For example, on this most recent trip to India I left the TV on and set it to turn off in 30 minutes and went to sleep with the lovely lady from BBC News chatting away. This is a good strategy if you really need to block out the sound. I really love classical music. These are some of the most serene and relaxing pieces from history’s best composers. I am sure you will thoroughly enjoy them. Sometimes the bedroom is not the quietest place in the house. My old bedroom was right on the street front so I found it difficult to sleep due to all the noise. I would lay awake for hours trying to force myself to sleep. But, if it just took my blanket and pillow in to the lounge room and layed on the couch I would be asleep in minutes. The lounge was at the back of the house and almost no noise got that far. Don’t think that you have to be in your bed to get a good sleep. You don’t. Perhaps try getting some shut-eye somewhere else in the house. Do you have trouble sleeping because of lots of noise? Do you have any solutions? Thanks Allen I really appreciate it. Feel free to go back and have a look around. We have a lot more posts on getting better sleep. I’m currently in Bangalore some 10 months. Yeah, it’s noisy here at night. Here’s what I do to get a good nights sleep. I turn on the overhead fan in my flat’s bedroom. It doesn’t make much noise, but it’s low hum and ‘whispering’ is enough to drown out the noise from the outside. Be sure to drawn the curtains, close the windows, etc. It may take you a few nights to get used to the fan’s own noise. I’ve used this fan ‘trick’ for the last 20 years or so. It’s essentially a white generator (all frequencies). If you don’t have a fan, I’ve also used an AM radio tuned to an ‘off station’ frequency (no sound other than a rushing noise). This ‘white’ noise will also ‘mask’ outside noise. Adjust volume to suit. Just enough to drown out the outside noise. Thanks TDM for your postings…It’s quite funny or should I say coincidence that things you write about are issues that I have either thought of or experienced them. I may have found solutions to them but some are still unaswered. That is the mysterious of living…and reading other people’s encounters. For today’s posting, I can relate to some of your pointers in but it is point # 4 where we strike the cord– my way is simple: listening to your heartbeat and feeling it 😉 If I can’t sleep I listen to my heart every beat of it and I place my hand close to my heart to feel and calm it. In this way you will realise when you are anxious your heart beat is faster when you are calm it is slower. So you tend to calm yourselves naturally by feeling and listening to it. Note, two of my senses i.e. hearing and touching are simutaneously involved in calming me down and drifting to sleep. Hope this helps others too 😉 For those who have chronic sleeping problems then I also recommend a shower before bed i.e. hot in the beginning and cold at the end and lots of exercise during the day (working out i.e. walking or running) so that by night time you can’t wait to get into bed. Salut! Ted – I have been going to India for many years and still can’t get used to the dogs. I am quite amazed that you have become accustomed to it already! Well done! SA – Thanks for your comment. As usual it really adds value to the post. I love reading them! Great tip about the heart beat. I am going to try that next time. Remember, if there are any issues you want some ideas on you can always email me and I will try to help. I love to fall asleep to the white noise of a stand up fan. I live in a crammed in neighborhood. I enjoy my neighbors, but the dogs are a pain. They like to bark at 1 in the morning. As soon as I hear that first woof I lean over and turn on my fan. I have a little remote, which saves me from getting out of bed. I fall right back asleep. Nice one Karl. Sounds perfect.